Home » How to choose a mechanical keyboard? 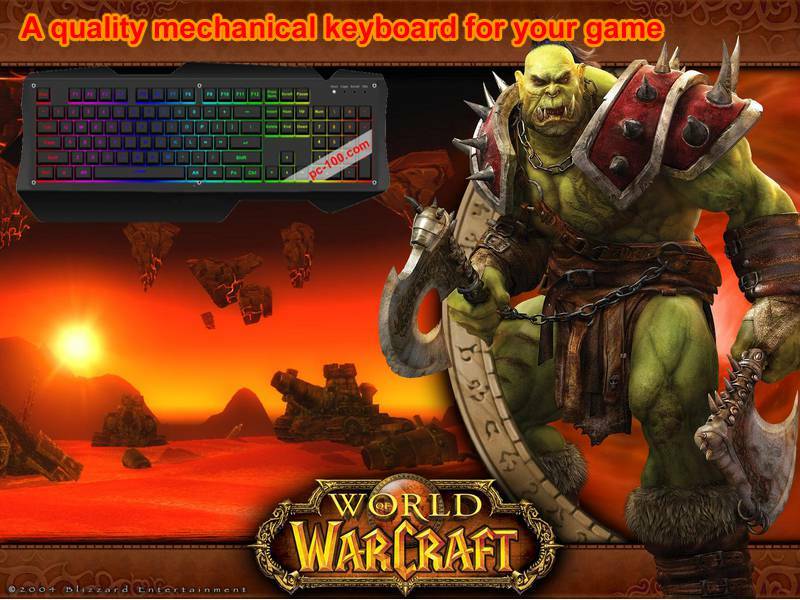 Now membrane keyboard is still popular on the market, but with the popularity of games, high demands from game players and the games themselves, mechanical keyboard has been coming into sight. People need to be input through a computer keyboard for a long time, there is also a higher demand on the keyboard input speed and typing feel. When the membrane keyboard cannot meet these needs, mechanical switch keyboards are constantly improved and developed. Why choose mechanical keyboard? If you have experience of disassemblying a membrane keyboard you’d see the key resilience depends mainly on a thin film on the circuit board, this resilience will decline with the time, sometimes pressing multiple buttons would induce keys’ conflict (ghosting). Actually, most mechanical keyboard is not designed specially for games, but the mechanical characteristics of the structure itself has decided mechanical keyboard can have good performance when playing games. If you wanna get prompt key reactions and reduce the keys’ conflict in your playing game, mechanical keyboard may play a very important role. When it comes to mechanical keyboards, we should compare to the membrane keyboards. Membrane keypad is decorative and functional in recent years and is widely used in the market on relatively more cheap prices, you may buy a new one while the keyboard were damaged. What are the advantages of mechanical keyboard compare to the membrane ones? in this article we will analysis the mechanical keyboards on their constructions,advantages, disadvantages, and how different groups select a mechanical keyboard for themselves. So-called mechanical keyboard, which is a type of keyboard,each of the keys on mechanical keyboard has a separate switch. Mechanical switch is the core component of the mechanical keyboard while the membrane keyboard don’t have it. Before 2014, Cherry MX switches almost occupied all the market of mechanical switches, this makes mechanical keyboard price very high (several hundred USDs). And after 2014, there came some Chinese brands, Kailh, TTC, especially after 2015, Chinese brands of mechanical keyboard switch developed rapidly, Gateron, Huano, Greetech, Outemu, Noppoo,KBtalKing and many other brands of mechanical switch, price of mechanical keyboard declined to several dozen of dollars. Players only need to pay a high level membrane keyboard’s price for a mechanical one, surely, if you wanna get a perfect experience of the unique charm of mechanical keyboards and wanna enjoy with RGB backlight function, possible price of such mechanical keyboard is at least USD40. 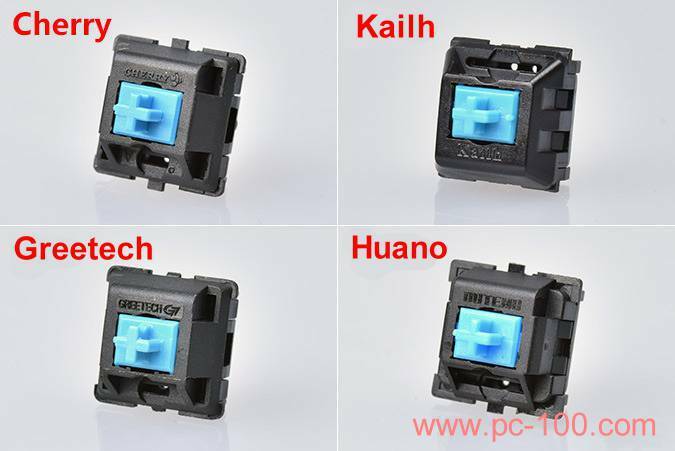 There are mainly four mechanical switches for mechanical keyboards including green, brown, red and black, the difference in typing feel are three parameters, Tactile, Travel distance and Actuation force. The black switch is with the biggest Actuation force (quickest resilience),so, black switches are suit for those one who mainly use their mechanical keyboard for playing games and seldom used for typing. Green switch is similar to the old typewriter, there is a obvious typing feeling and clicky, it is the most funny switch in the four types of switch and is suitable for most users. But the green switch gives out the biggest typing sound makes it is not suitable for using in quiet public place. Red switch and brown switch are moderate in the four types, they can be for most users to typing or gaming. Mechanical keyboard key caps can be removed and replaced, while membrane keyboards’ keycaps are generally not replaceable. Currently three kinds of material are used for making key caps, ABS, POM and PBT. POM and PBT are with high wear resistance, but limited by material and production costs, they are not universally used. Inspite ABS’s low hardness, but its relatively low cost, mature productive technology and good light transmission makes it currently is still the popular applied mechanical for making mechanical keyboard key caps.For the convenience of the player, some mechanical keyboards also comes with some accessories, e.g. 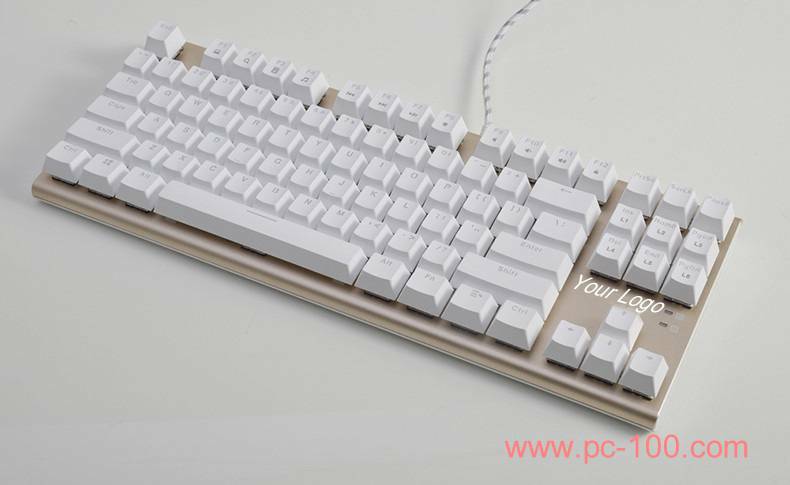 plastic dust cover, removable bracket, keycap puller, users can replace keyboard parts according to their personal needs. Mechanical keyboard backlit is generally divided into monochromatic light, mixed light, seven-color RGB light and full-color RGB light. Monochromatic backlight is popular in the early years, means all keys appear only one color of light. Mixed light means different light colors for different keys on the keyboard, and each key is monochromatic. Seven-color RGB lights are controlled by a switch, generate seven different colors based on the original red, green, and blue color. Full-color RGB backlit keyboard means that each key of the keyboard has three independent color controlling chips, control 0-255 of red, green, and blue color values to create a full-color spectrum of 16.8 million colors, you may set your personality color in the driver software. If you want to choose a RGB full color keyboard, you will need to pay more attention. You should confirm whether the keyboard is full-color RGB back lighting and is with a keyboard driver software. Because some manufacturers’ so-called “RGB backlit” mechanical keyboard is only seven-color RGB light, and only 7 colors can be adjusted in the driver, and even some keyboard doesn’t with driver, may be they only use the common 7-color LED lamp to create back light. Users should be careful enough when choosing a RGB backlit mechanical keyboard! We may now know some advantages of mechanical keyboard from above text about the characteristics of the switches and the key caps of mechanical keyboard. 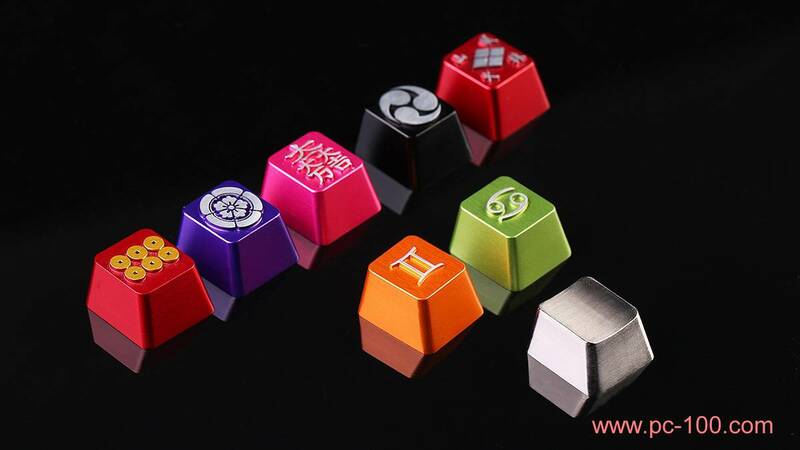 Besides appearance, we also provide custom switches, custom key caps, custom backlit effects and many more custom items. Each key on mechanical keyboard are completely independent of the individual, so, as a toy, mechanical keyboard is far more funny than membrane keyboards, makes it possible for single key’s customization. Recently, popularity of appearance customization, key caps pattern culture, backlight effects, and so on, greatly enhance the funny playability of a mechanical keyboard. Mechanical keyboards have incomparable advantages on playability than any other types of keyboard. When using the mechanical keyboard, basically in the key moment, key’s clicky sound and its travel distance obviously give us very strong feedback. Actually, we need this feedback when playing games, typing, this feedback are also one of the most important essential part of the gaming experience. There are a few membrane keyboards are anti-ghosting, but in fact, we seldom see manufacturers could produce 100% anti-ghosting membrane keyboards, at present, some famous brands,SteelSeries, Razer and Logitech may do this, but this technology is only used in their most recent new products. In some games, you need to press 7 to 8 keys at the same time when playing, this may simply explain that why mechanical keyboards do a better job than membrane keyboard do when playing games! Users who didn’t play games don’t understand membrane keyboard’s vulnerability, use mechanical keyboards and membrane keyboards for a same period, such as 3 years, several membrane keyboards would be worn out, mechanical keyboards’ durability may be demonstrated. 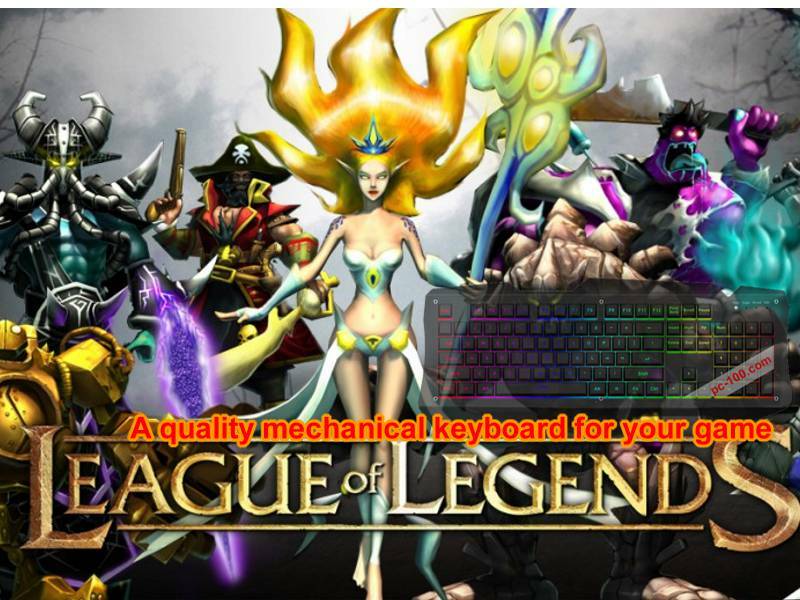 Even those users who don’t play games, will feel performance reductio of the membrane keyboard. Certainly, advantages of mechanical switch keyboards are more than above referred, different people will have different feelings. What are the disadvantages of mechanical keyboard in ordinary users’ eyes? In fact, compare to the membrane keypad, mechanical keyboard is relatively high in price. In addition, Clicky sound of mechanical keyboard brings users with comfortable rhythm as well as creating noise nuisance to any other people around. For the mechanical keyboard’s structure, it’s more difficult and more complex to make a mechanical keyboard than making a membrane one. Especially, in order to ensure good electrical conductivity, gold is used to make the mechanical switch contact-point, thus, costs increased substantially. What’s more, keys must be made of high class materials such as POM,PBT, special design for all keys’anti-ghosting, these make mechanical keyboard’s price be much higher than membrane keyboard on the market. In all kinds of mechanical switches, green switch makes the loudest sound while black switch makes the lowest sound when clicked. Actually, all mechanical keyboards would produce clicky sound when typing fast or used for a long time. This requires us to be careful when we choose a mechanical keyboard. Generally, brown switches and red switches produce fairly low sound and have little impact on any others around. it’s suggested not to use mechanical keyboard typing or playing game when someone is having a rest. 3, Which mechanical switch suit for you? There are many kinds of mechanical switches on the market, in above introduction we have listed many brands. Since the mechanical switch is the most important part in mechanical keyboard, how do we choose a suitable one? First, don’t select the unknown brands or those bad publicity brands, mechanical switches differ greatly in different brands. Actually, nearly all switches feel like CherryMX’s standard hand feeling when typing, whatever they describe their typing in text or in any other methods. Great distinctions among switches produced by different manufacturers, even if they are the same color. How can we find out which brand of mechanical switches are in a mechanical keyboard? 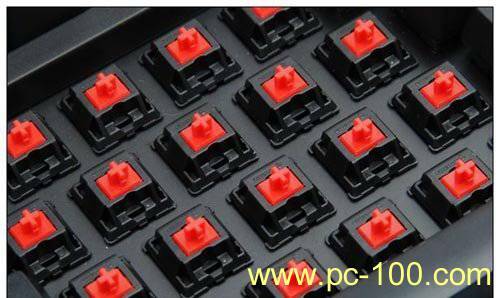 we should know some famous brands of switches, you may see the brand name appeared on the switch when you pull off a key cap on the mechanical keyboard, “Cherry” is the top one brand in the world while “Kailh” is the top one brand in China.If your money allowed, we suggest that “Cherry” or “Kailh” are good choice, these two brands are recognized by most people and the market. If you want to buy a mechanical keyboard at a fairly low price in China, we suggest you to try this switch brands, Outemu, Long hua or Greetech. Anyway, switches are really important. If there ware several broken keys on your keyboard, you need to type several times to input a letter, that would be really a very troublesome thing. As a necessity of desktop PC, keyboard largely determines user’s experience on office working, typing, gaming, etc. 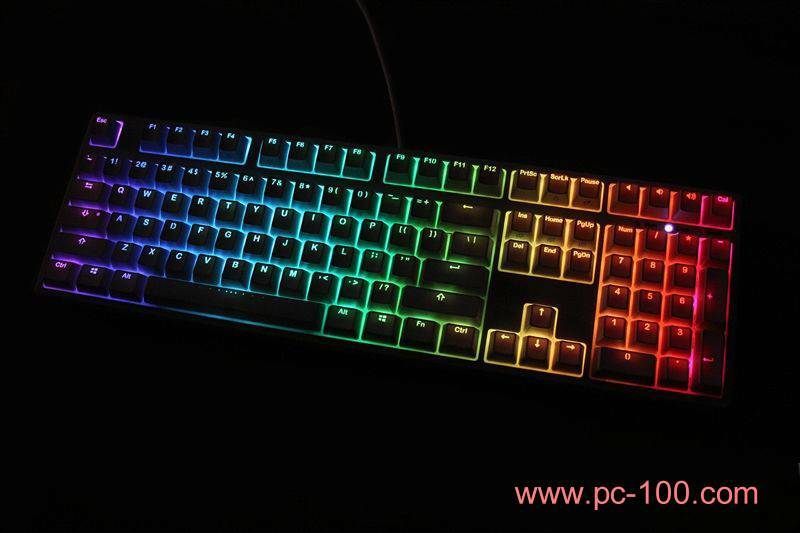 Users who emphasis experience enjoying of using PC would tend to choose a more suitable keyboard for themselves, especially for younger users, enjoy pursuing their individuality, they want to get not only a high quality mechanical keyboard, but also the RGB back light effects on the keyboard, because colorful back light effect can greatly stimulate the user’s vision and senses. How to choose a mechanical keyboard for different groups of people? A good peripheral device absolutely can let you get the upper hand when gaming, a high quality mechanical gaming keyboard is necessary for you to play well in the game! What kind of switch shoul be chosen depends on what game you play, brown switch may fit for any purpose, whether is for playing game or for typing. 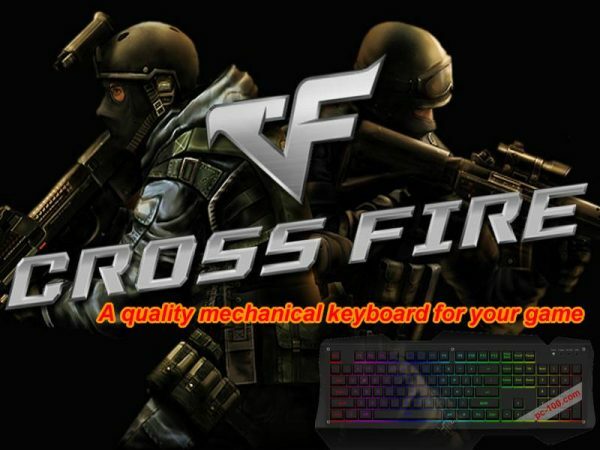 But as to some FPS games, such as Overwatch (OW), Cross Fire (CF) or Counter-Strike (CS), you may choose black switch or red switch for your mechanical keyboard. If you play RTS games like Warcraft, Dota, League of Legends (LOL), you may choose green switch for your mechanical keyboard, green switch also suit for MMORPG games, such as World of Warcraft or Moonlight Blade. As to RPG games, e.g. Blade & Soul, you may choose brown switch or green switch. If your mechanical keyboard is used for both playing games and typing, brown switch and red switch may be your best choice. For the office clerks, black switch is not suitable for typing, because it needs a strong force when typing. Brown switch and red switch are instant trigger switches, only need slightly press to work, they are suitable for clerks who need to type a lot of text in their daily job. Green switch follows the old typewriter’s feeling, gives tactile feedback and “clicky” sound immediately, this switch is ideal for typing, but the fairly large clicky sound makes it is not suitable for working in a common office. Actually, only on their appearance, there are little distinctions between mechanical keyboard and membrane keyboard, we select a mechanical keyboard for our computer is to get the typing feel experience, a suitable mechanical keyboard would bring great convenience for typing or gaming. Before buying, we must pay attention to various details, such as keyboard keycaps, they are the parts to which our fingers touch directly, good looking key caps and their arrangement makes the whole keyboard look nice and also makes user a good mood when working or playing. On the other hand, a mechanical keyboard should have its driver software for setting, user may set RGB back light effects or config some shortcut keys freely.